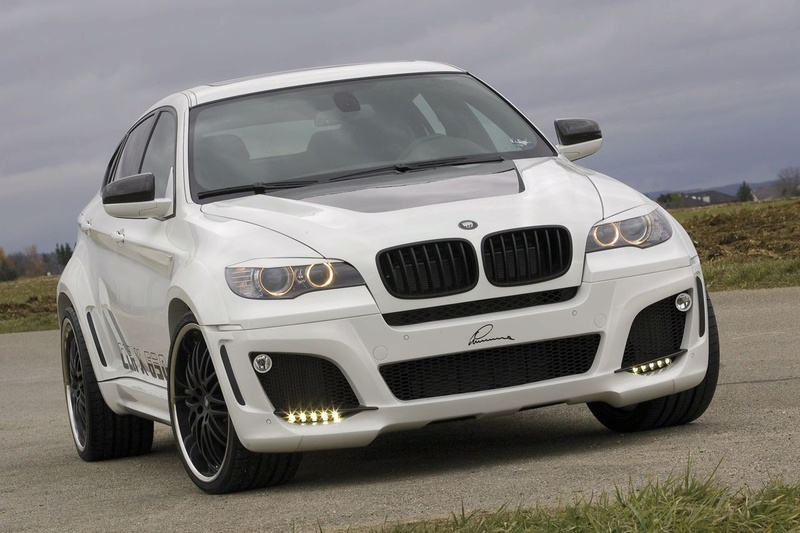 The Winterlinger-based tuner, Lumma Design has just released their own version of the BMW X6 Sports Activity Coupe. 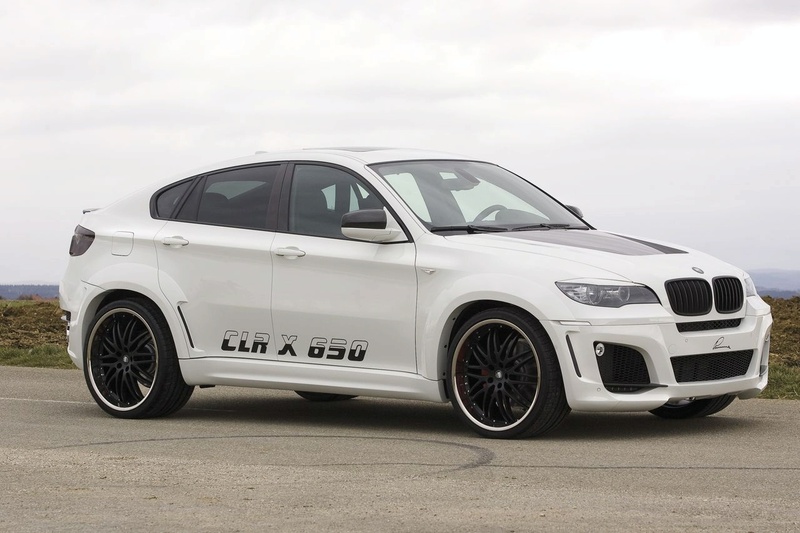 Lumma’s own version, CLR X 650, sports some impressive 23-inch wheels, mounted on a super-duper sport widebody kit, which includes 2 inch fender extensions. As expected and already seen in their previous designs (eg. Lumma CLR 500 RS), the front and rear spoilers receive a new treatment as well, along with the side skirts. Of course, carbon-fiber is being used all around, including the air ducted hood. Lowered sport suspensions designed by Lumma are completing the aggressive look and stand. As pretty much all the sport-oriented cars, the interior received a similar treatment, which includes leather and alcantara trim and seats and aluminum pedals. Last but not least a hightech multimedia system with 7,5 monitors installed in the custom made headrests. Lumma decided to go even further and worked their magic on the V8 Twin-Turbo as well by reprogramming the ECU and replacing the exhaust with a stainless sport system. 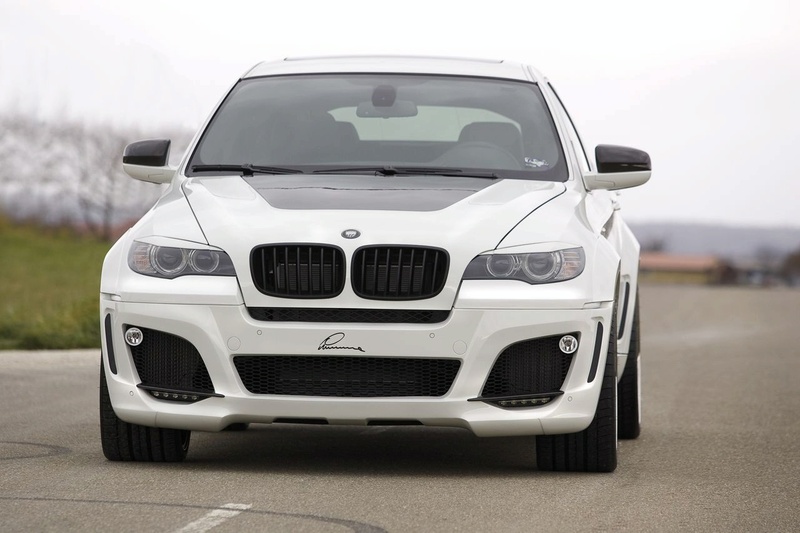 the Winterlinger based Tuner, offers a complete package for the BMW X6. In combination with the LUMMA lowering sport suspension, lowering the car approx. 35mm, for cars with and without air ride system, the wheels look even bigger than they are. Positive secondary effect: lower point of gravity and a better handling of the car. ambitious driver. Easy to install, plug and play, ready to go on the course. Carbon air intake inlet tubes. ance of the CLR X 650.
same material and quality, the steering wheel, ergonomic moulded. entry panels. Made out of high quality aluminium, anodized, with the LUMMA logo engraved. interior, trapped with leather, as well as a boot mat, are rounding up this package.